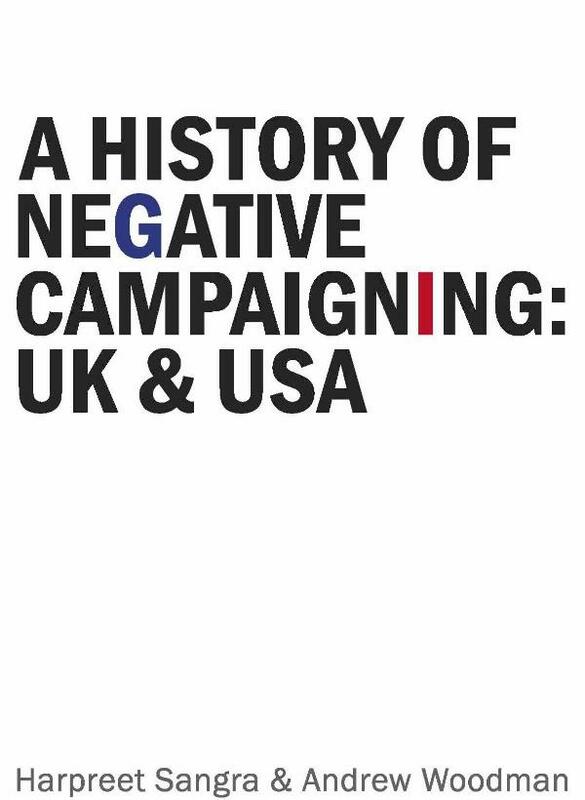 Insiders' analysis of negative campaigning in the politics of the UK and USA - why it works and why it does not. The aim of A History of Negative Campaign: UK and USA stems from our recognition of those who continue to engage in the dark arts. Politics still very much remains a game of two halves: Positive campaigning everyone talks about and Negative campaigning they don’t acknowledge. Sangra, begins with an historical overview of the presidential elections in the United States of America, the birthing ground of political campaigns, political consultants and ultimately the rise of negative campaigns; drawing on the popularity of the Democrats and Republicans during a timeline of eras. Woodman, proceeds with the lessons the United Kingdom have learnt from the Americanisation of politics and examines the negative campaigns of the Conservative, Labour and LibDem Parties. He concentrates on General Elections, but also talks about America’s style in the London Mayoral Election. Both authors present separate conclusions with predictions ahead of the upcoming Presidential and General Elections. Employed as the Parliamentary Assistant to Andrew Bridgen MP, Harpreet graduated from Loughborough University in 2008 having conducted research on spin and Alastair Campbell. Harpreet has worked as a campaign activist for Harborough Conservatives for five years, as well an election campaign assistant in North West Leicestershire. Andrew has worked for the Direct Democracy movement as well as co foundering the successful Reinstate Roger Helmer campaign. Andrew worked for seven years as campaign manager and election agent for the Conservatives in the North West Leicestershire constituency. He now works as Senior Parliamentary Assistant for Andrew Bridgen MP.